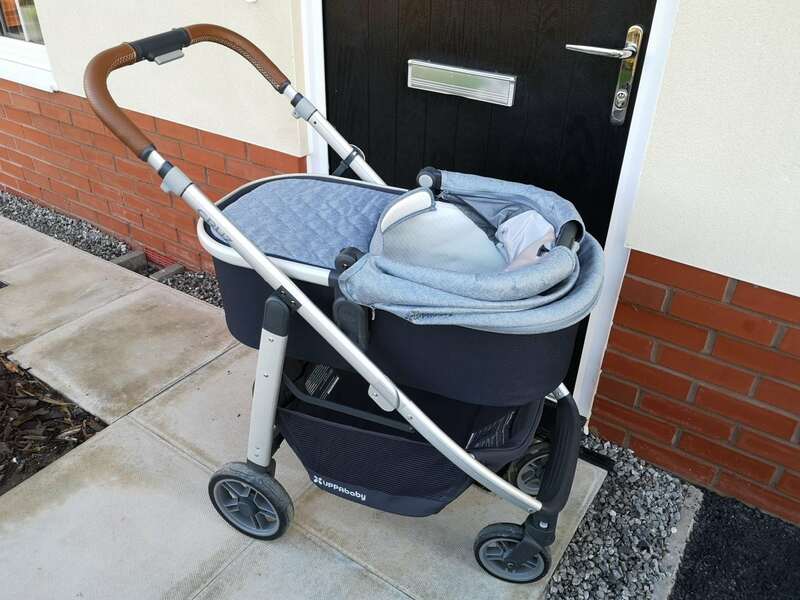 I’ve been sharing our experience with the UPPAbaby Cruz recently which has been my absolute sanity saver since having Hugo. 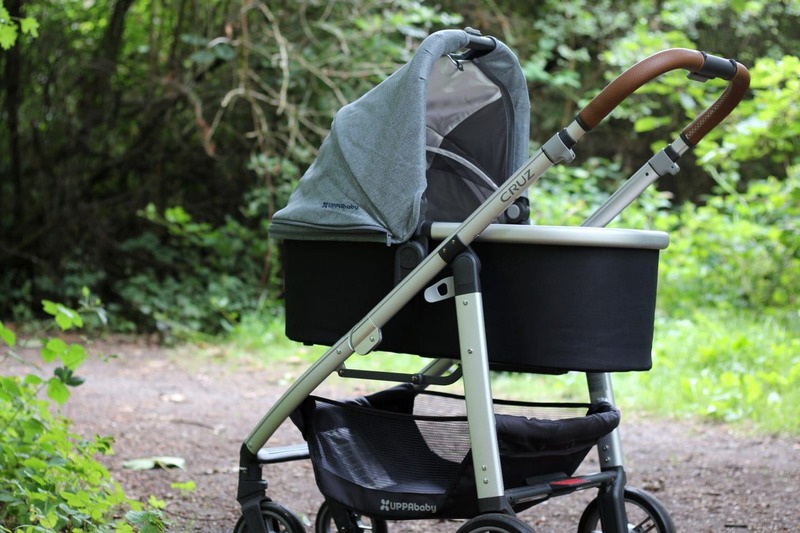 You can read more detail about our experience with the UPPAbaby Cruz here. 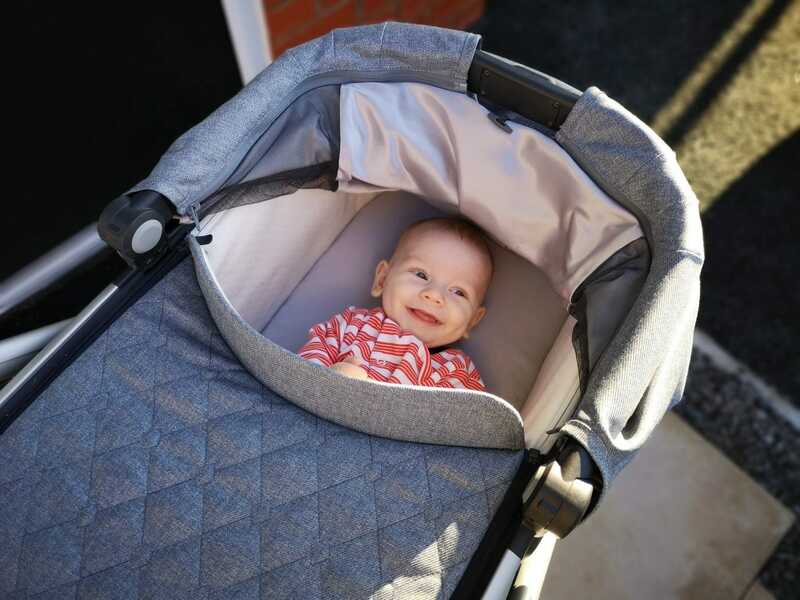 In brief, though the UPPAbaby Cruz comes with everything you need to get out and about including a practical toddler seat that can be positioned both parent or world facing! This is the type of stroller that will grow with your family, and I’m really excited to continue using it through the next stages of Hugo’s growth. The great thing about the UPPAbaby Cruz is that you don’t have to wait until your little one is six months before you can use it as you can also purchase the UPPAbaby Carrycot which is what we have been using since birth. The UPPAbaby Carrycot allows babies to lie completely flat making it ideal for use from birth. It comes with a longer sized mattress which gives room for growth and prevents babies from outgrowing them too fast while still providing comfort. The mattress pad is both breathable and removable and sits on a vented base for added breathability. My favourite part about the carrycot is that it has been approved for overnight sleep which means when we travel we could use it in place of a cot which means less baggage!! You can also buy a stand so you could use it in place of a Moses basket at home. The canopy unzips which is ideal for adding additional airflow when it is hot. This was particularly useful for us during the unusually hot summer we had this year. We were still able to go out and about in the stroller as there was a good amount of airflow which helped keep Hugo cool. There is also an extendable UPF 50+ sunshade that was ideal for keeping the sun away without blocking airflow! 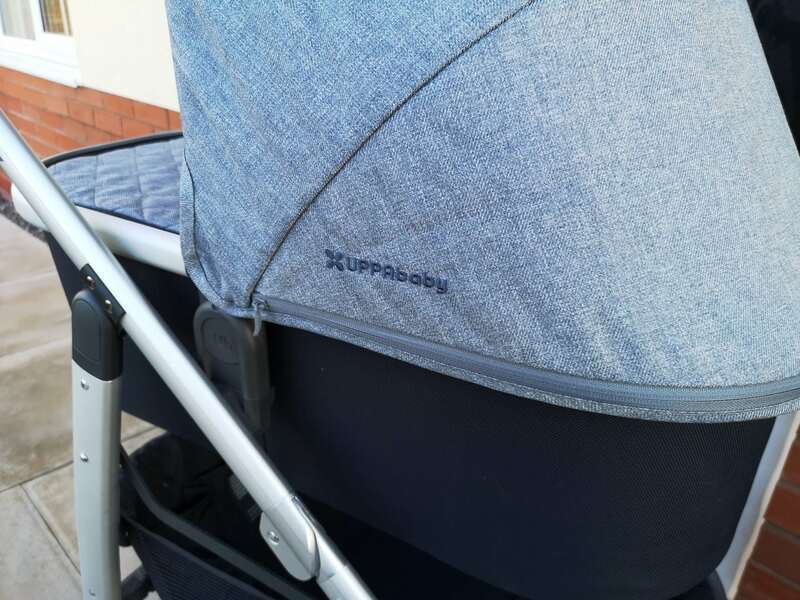 I have really loved using the UPPAbaby Carrycot with our UPPAbaby Cruz. Its functionality has made life with a newborn baby easier. I know that when out and about Hugo is safe and comfortable while also giving me convenience. It’s simple to click the carrycot in and out of the stroller, and it can fold for added ease. Hugo is about to turn six months, and he has almost outgrown the carrycot which is bittersweet. On the one hand, it’s great to see him develop but on the other its as though I am saying goodbye to my baby!! 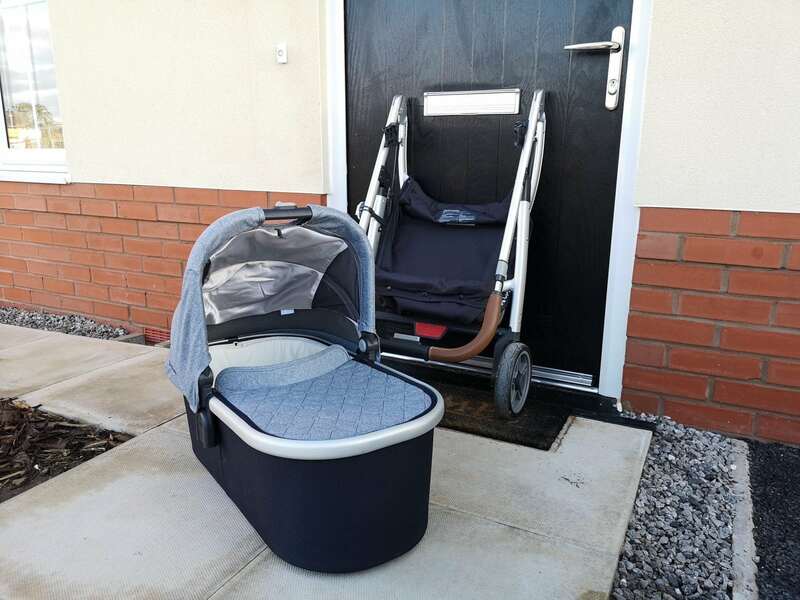 We have used the carrycot every single day since Hugo was born and I am so impressed with the quality and design. It looks stylish, feels well made and is highly functional I couldn’t have done the last few months without it! The UPPAbaby Carrycot is currently available in John Lewis for £259.99 which seems like a significant expense but on comparison to what is available on the market it is fair and the added features really make it worth the extra cost. Find out more about Uppababy on their website here. Previous Post UPPAbaby Cruz – How Are We Getting Along?